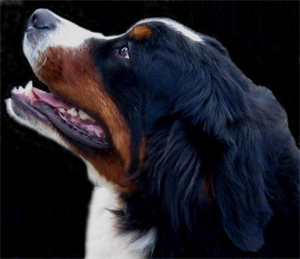 Welcome to Tickbern Bernese Mountain dogs. Through the many years Penny and I have been dedicated to this wonderful breed both in Australia and here in England We have never lost sight of the promise we made when starting out and that was to breed with honesty and integrity, never compromising for the sake of just putting a litter on the ground. We have carefully selected our breeding stock through many generations to arrive at were we are today with sound gentle tempered animals, true to type and conformation as described in the breed standards. We hope you enjoy our dogs through the pictures we have put up.